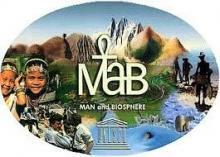 Vernon Gilbert, U.S. Biosphere Reserves Association, founding member of the MAB. Extract: " the idea at the beginning was to have the protected areas cooperating more with surrounding zones". Authors and personalities: Agnès Rougier, interviewer. Vernon Gilbert, interviewee.